UPDATE: the microphone will be called Ambeo. Unlike stereo microphones, the VR microphone will record audio from four directions. As the viewer rotates the 360-degree video, the audio will change in sync with the video. The VR microphone will be available Q4 2016. Sennheiser is also developing a dedicated VR mic for GoPro. 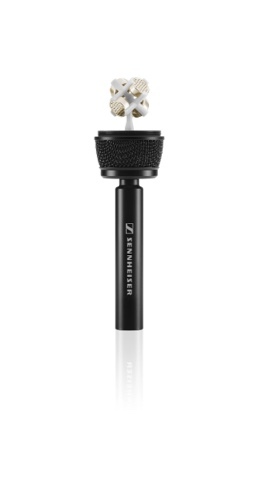 In addition to the VR microphone, Sennheiser is launching its first weatherproof action lavalier microphone.